Designed to help optimize your PC for smoother, more responsive game play in the latest PC games with the touch of a button, Game Booster helps achieve the performance edge previously only available to highly technical enthusiasts. Game Booster works by temporarily shutting down background processes, cleaning RAM, and intensifying processor performance. Works 100% compatible with PunkBuster, Cheating-Death, VAC & any other anti-cheat software. EnhancedGame Booster v3 can easily and fast close background processes and unnecessary Windows services, to speed up your game playing and avoid possible conflicts and incompatibility. With the innovative "Enhanced 3rd parties' services detection" technology, Game Booster v3 can automatically detect and close more unnecessary background services. New!Game Booster 3 now is able to provide you a pure "gaming environment" that leaves only the gaming window on the desktop; thus you will not be disturbed by other programs during your gaming. EnhancedGame Booster v3 can tweak your PC for the ultimate system and Internet speed with a single click. 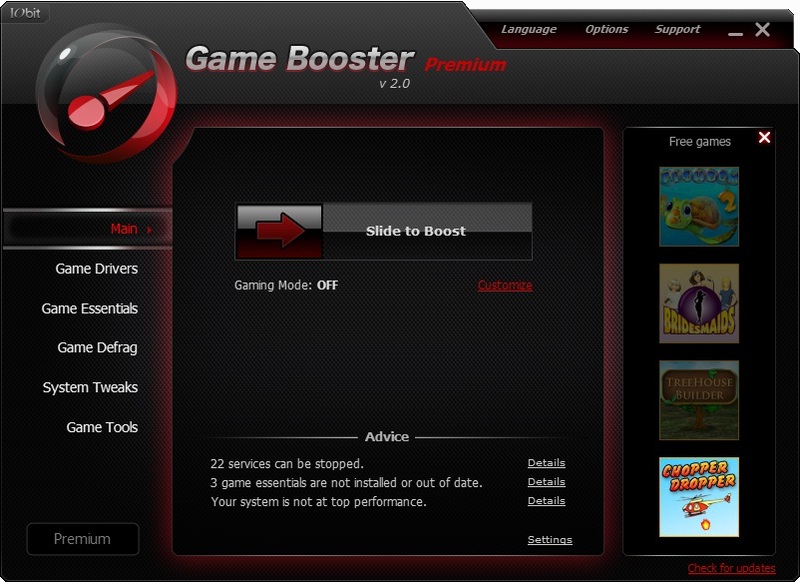 EnhancedAdd and manage your games in a game box and boost the game automatically with Game Booster 3 when launching. Qweas is providing links to Game Booster 3.4 as a courtesy, and makes no representations regarding Game Booster or any other applications or any information related thereto. Any questions, complaints or claims regarding this application Game Booster 3.4 must be directed to the appropriate software vendor. You may click the publisher link of Game Booster on the top of this page to get more details about the vendor.